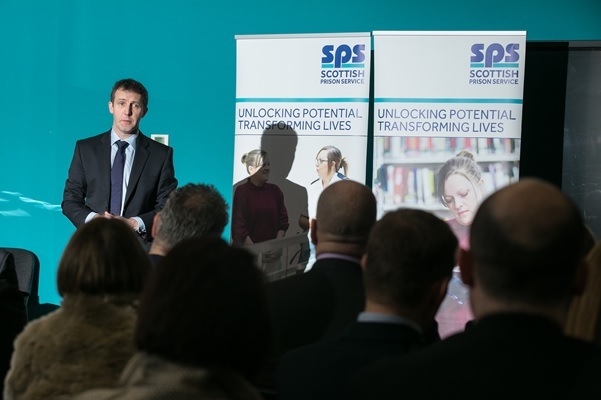 A number of staff from across the Scottish Prison Service received Cabinet Secretary and Chief Executive Awards this week at an awards presentation in the SPS College. Michael Matheson MSP, Cabinet Secretary for Justice, attended to present the Cabinet Secretary Awards. Operations Officers Scott Russell and Lorna Weir from HMP Cornton Vale received Cabinet Secretary Awards for the assistance they gave to a pregnant woman, supporting and caring for her with dignity and respect. 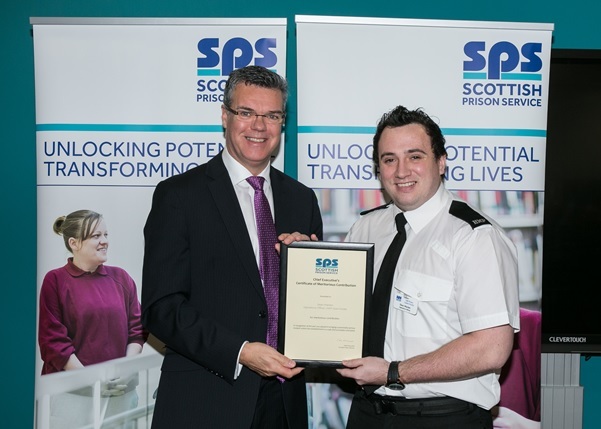 Officer Instructor Ian Archibald from HMP Dumfries received a Cabinet Secretary Award for his work in developing a Citizen and Tenancy Award for prisoners. Residential Officer Rab Baird from HMYOI Polmont received a Cabinet Secretary Award for his work supporting a young man with an extremely complex set of issues. 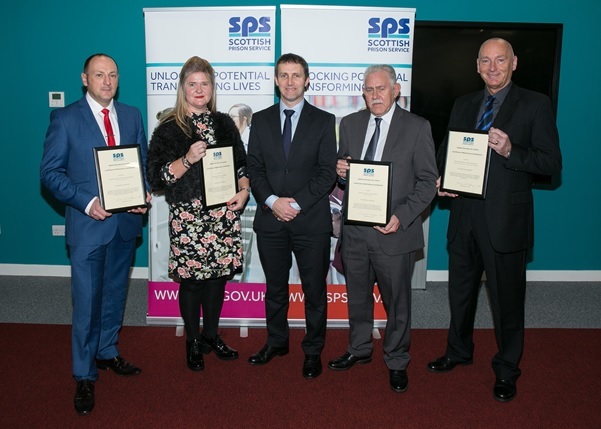 Receiving Chief Executive Awards from Colin McConnell, Chief Executive of the SPS from HMP Cornton Vale were Practitioner Nurse Katherine Bryan, First Line Manager Nicola Luti, Acting Unit Manager Jeanette Marshall, Residential Officer Adrienne Park and Residential Officer Ross Paton (not in attendance). They received their awards for the part they played in managing a situation where a woman posed a significant threat to herself, and despite the risk to themselves, intervened to save the woman’s life. Residential Officer John Conyers from HMP Edinburgh received a Chief Executive Award for his part in de-escalating a difficult and hostile incident, and preventing injury to staff and prisoners. Operations Officers Ian Frickleton (not in attendance), Scott Rawlings, Emru Ugunlu and Gary Watt from HMP Edinburgh received Chief Executive Awards for their actions while removing a vulnerable and distressed offender to a secure area under exceptionally difficult circumstances, responding in a calm and professional manner. 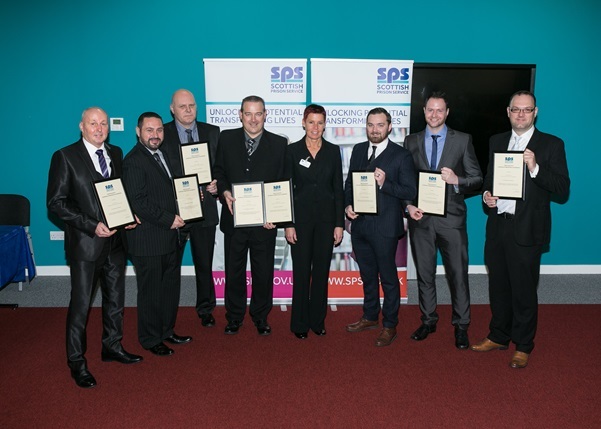 Residential Manager Ian McLaren, along with Operations Officers Cameron Scott, Ewan Bennett and Gary Watt from HMP Edinburgh received Chief Executive Awards for their work in responding to an incident where a prisoner was highly volatile and aggressive, working together to subdue the man and provide first aid to his cellmate. Residential Officers Hazel Gardiner, Eddie McDonald, Graeme Mackie (not in attendance), Diane Penman, Nigel Simms and Thomas Todd (not in attendance) from HMP Glenochil received Chief Executive Awards for intervening when an altercation occurred within a residential setting, de-escalating the incident without concern for their own safety. 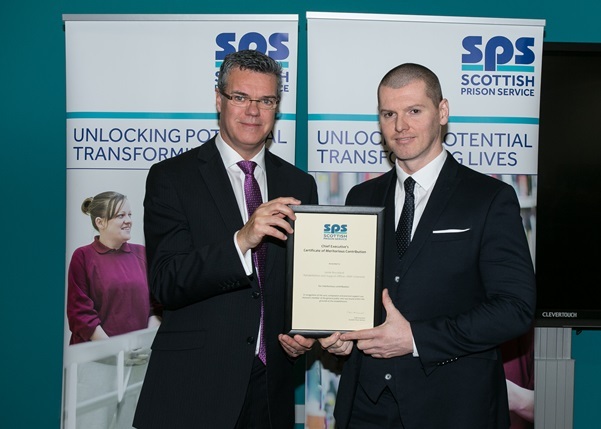 Rehab and Support Officer Jamie Bryceland from HMP Greenock received a Chief Executive award after he was approached in a prison car park by a young man in distress, presenting the potential for self-harm. Jamie took the time to re-assure and support the man until he agreed to attend the hospital with colleagues from Police Scotland. Residential Manager Norman Dyce (not in attendance), along with Operations Officers Max Howkins (not in attendance), Rachel Wallace (not in attendance) and Dean Warden from HMP Castle Huntly received Chief Executive awards for their actions responding to a man who had taken an unknown substance and showed exceptional strength and violence, assaulting an officer before he was restrained by the staff involved. 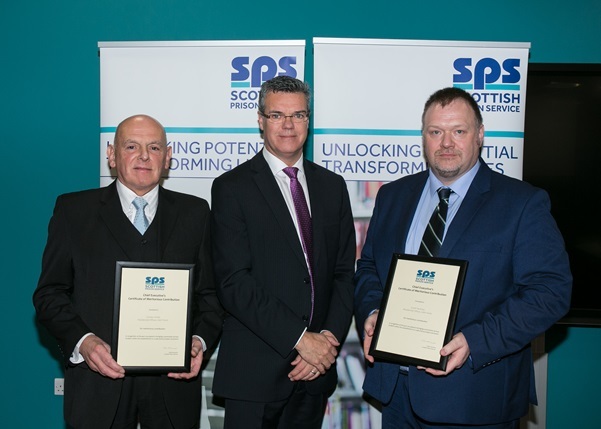 Residential Officers Scott Faichney and Gordon Smith from HMP Perth received Chief Executive Awards after they intervened in a fight between three prisoners, two of which had homemade weapons. Their actions evidenced courage and initiative, preventing a difficult incident from escalating. 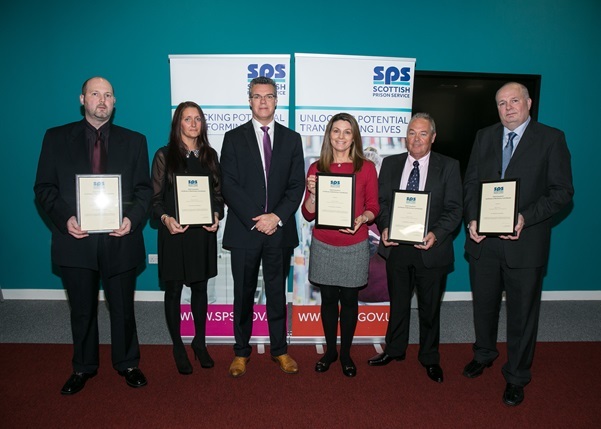 Additionally there were staff from HMP Perth who received Chief Executive Awards but were unfortunately unable to attend – Operations Officer Kenneth McLean for saving the life of a man who attempted suicide, and Residential Manager Haley Campbell, along with Residential Officers Alastair Christie and James Hutt for handling a situation where a prisoner attempted to climb over railings. Their reactions were instant and they demonstrated a calm and ordered approach without instruction. The awards presented this week demonstrate the actions taken by our staff in an often challenging and difficult environment. Congratulations to all our Cabinet Secretary and Chief Executive Award winners.